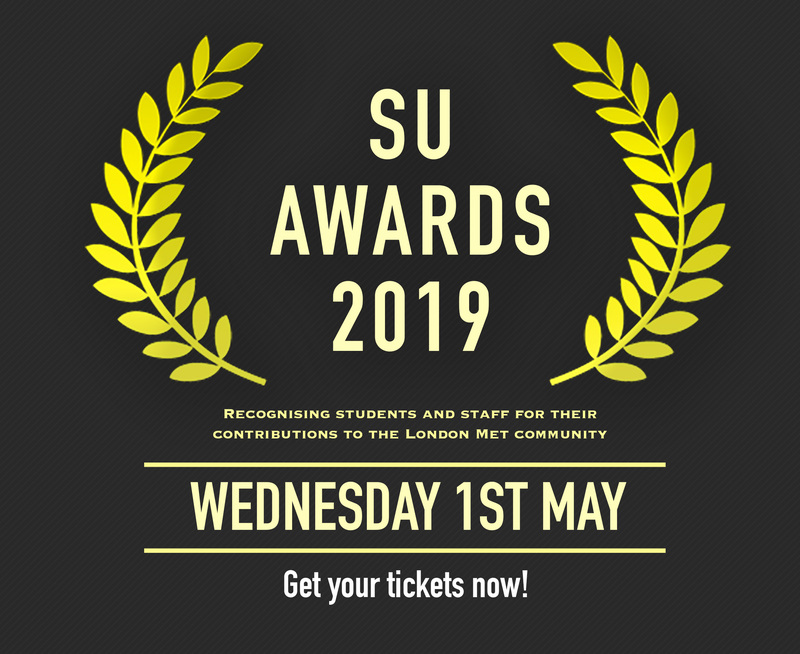 The Students' Union Awards night is an annual event that gives recognition to outstanding students and staff from the London Met Community. This year, the SU Awards will take place on Wednesday 1st May in The Great Hall, Holloway Campus. Get your ticket for the most exciting night of the year! For a reminder of all the highlights from last year's awards check out our video from last year's awards!